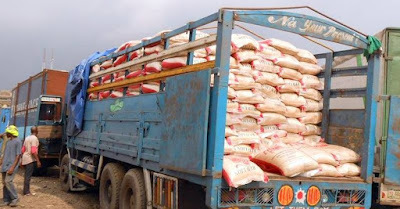 The Strike Force Unit of the Nigeria Customs Service (NCS) on Wednesday seized 11 trucks loaded with smuggled foreign parboiled rice in the South West. The strike force was set up by the Comptroller-General of the Nigeria Customs Service as an ad-hoc unit to complement the activities of the border commands and the Federal Operations Unit to suppress smuggling in the country. The special unit had in the last three months intercepted contraband smuggled into the country through neighboring countries worth over several billions of naira. However, in the recent seizure, the service also intercepted other contraband worth over N415million. The other seizures include vegetable oil, second hand cloths, cartons of frozen poultry products, unprocessed firewood, sugar to vehicles of different brands were smuggled into the country through the land borders. Speaking to newsmen on the sidelines of the arrest, the National Coordinator of the Strike Force, Abdullahi Kirawa, disclosed that the seizures were made by the CGC Strike Force team from August 11 to September 18, 2018. He also disclosed that the seizures were based on credible intelligence gathered by the Customs Intelligent Unit (CIU). Giving the breakdown of the seized items, he said, "The seized items are second hand clothing, 640 bales of shoes in 1x40 container worth N32,000,000; 18x20 and 3x40 containers of unprocessed firewood worth N144,000,000; 2x20 containers of wet blue worth N123,727,500, 59 bags of sugar x 50KG worth N590,000." "Other items also seized were frozen poultry with quantity of 45 cartons value at N225,000; vegetable oil in 26 kegs by 10 litres value at N130,000 and 14 kegs by 25 litres value at N140,000." He stated further, "The used motor vehicles seized were Madza 323 car worth N750,000; Toyota Hilux N11,500,000; Toyota Avensis car worth N1,800,000; Lexus ES 350 value at N2,500,000; Toyota Venza worth N5,500,000 and Ford Transit Bus loaded with contraband goods value at N1,750,000 and 6,669 bags of rice 50kg worth N90, 000,000 were all seized." He urged Nigerians to patronize locally-made products, even as he warned that the smuggled rice was less nutritious, compared to the locally-produced rice. He added that NCS and its men was also not relenting especially in the ‘ember’months, as operatives of the Service work round the clock to ensure that illicit trade did not thrive in the country. In order to tackle smuggling activities around the borders, he said the NCS formed synergy with its other sister agencies including the Nigerian Army, the Navy and the rest to track any nefarious activities being perpetrated by smugglers. He added: "This we do not only with our sister agencies but with host communities at the borders. 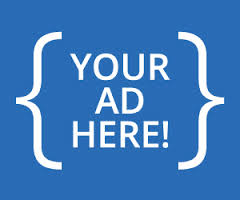 The PR unit of the service has also engage in vigorous campaign in public sensitisation as the dangers of smuggling. "So we are not only ensuring that we make arrest but we are also being proactive in ensuring that in the first place the dangers of smuggling is made known to the general public so that they will also avail us as good Samaritans and citizen with information to track this things down," he added.